The EV segment has moved from being all about saving the environment to going green and fast at the same time. 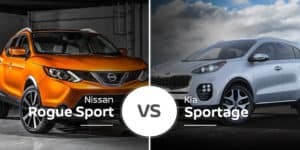 This is exactly what the all-new 2019 Nissan LEAF PLUS offers our Mid-Michigan area shoppers. Compared to the current LEAF, the LEAF PLUS has a significant increase in range and output, putting it in a class dominated by the Tesla Model 3. 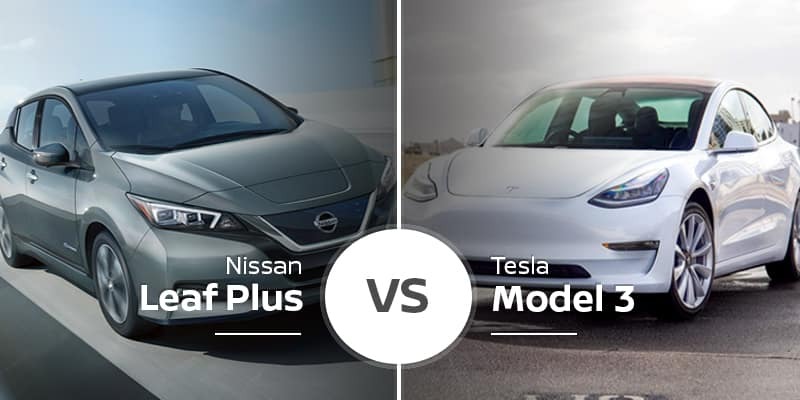 How does the 2019 LEAF PLUS stack up against the 2019 Tesla Model 3? Find out below. The Nissan LEAF was one of the original electric vehicles, and in its first generation, it had an odd design that made it stand out. While some buyers appreciated the standout appearance, many preferred a more low-key look. In 2018, the LEAF went through a full redesign, bringing in more traditional look. The LEAF PLUS arrives in 2019 with an extended range and more power, but its looks are virtually identical to the standard LEAF. 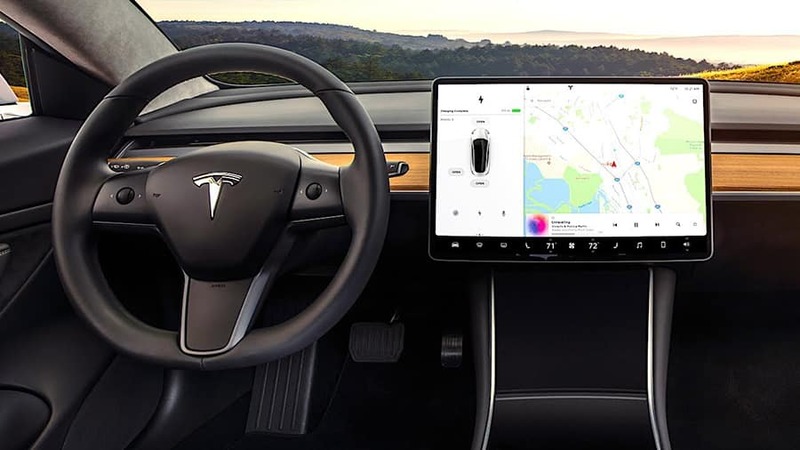 The Tesla Model 3 debuted in 2017 and has gone through a few updates since, but it has remained visually unchanged since arriving. 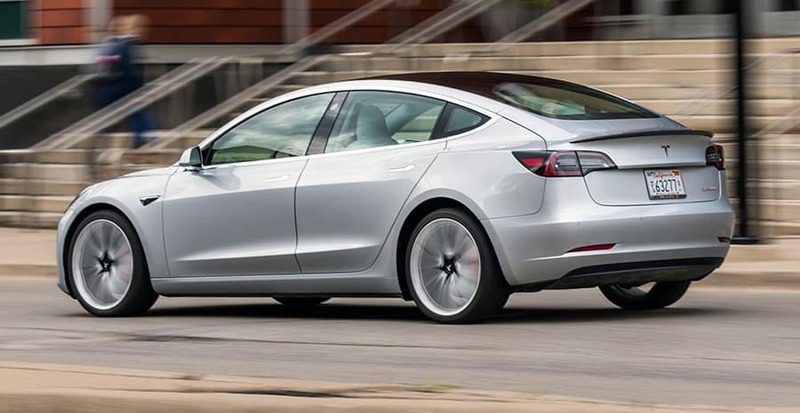 The Model 3 carries on the Tesla corporate design, pulling in the looks from the Model X and Model S. This gives it a sleek, bubble-like design that is far from over the top but stands out in a crowd. In terms of size, the Tesla Model 3 is significantly longer and wider than the LEAF PLUS, but it is lower by 4.6 inches. Like the exterior, Nissan put a lot of focus on making the LEAF PLUS’ cabin look as traditional as possible. It achieved this goal with a slick flat-bottom steering wheel and a standard-looking dash with a well-organized center stack. 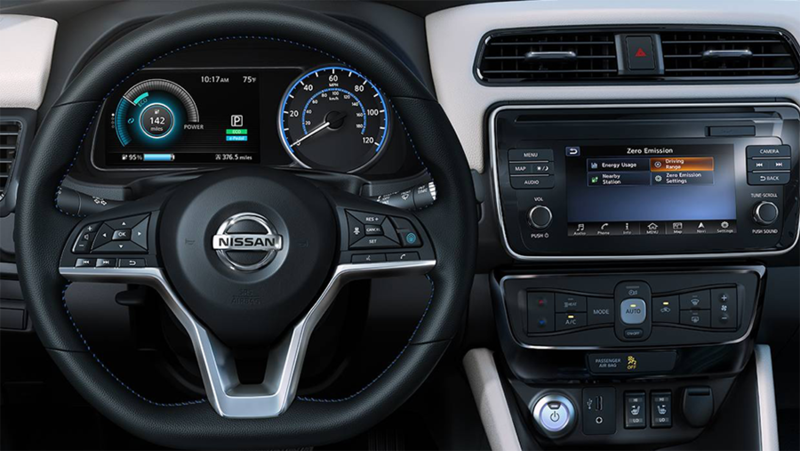 The only two areas where the LEAF PLUS strays from the traditional is its gear shift and blue-tinted gauges with an energy monitor. Otherwise, the LEAF PLUS simply looks like a stylish hatchback. The Tesla Model 3 takes toned down to a whole new level with a clean dash that’s void of virtually all buttons and knobs. You will control everything via its standard 15-inch touchscreen. Otherwise, the Model 3’s cabin is clean, clutter-free, and to some buyers, a little on the boring side. Inside, the 2019 Tesla Model 3’s larger body gives is far more seating room in virtually every measurable. Where the 2019 Nissan LEAF PLUS comes back is in its cargo room, as its hatchback body can gobble up an extra 8.6 cubic feet of cargo with the seats upright. Electric vehicles are no longer the boring green machines they once were. Today, they deliver impressive straight-line performance thanks to their advanced batteries that allow automakers to create more powerful motors without harming range or efficiency..
Tesla was one of the first EV manufacturers to test the bounds of performance with its Model S, and this trend continues with the smaller Model 3. 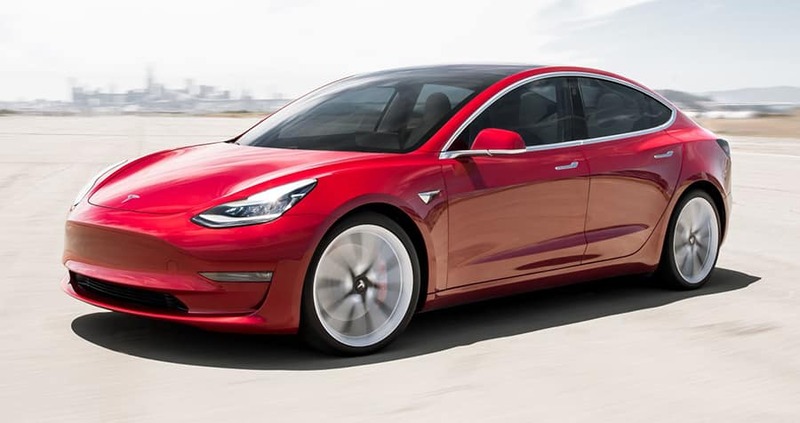 The 2019 Tesla Model 3 not only offers 220 to 325 miles of EV range, but it can also sprint to 60 mph in as few as 3.3 seconds in its range-topping model. Even its base model is quick with its 5.6-second sprint time. The new Nissan LEAF PLUS uses a larger battery and more powerful engine than the base LEAF, allowing it to deliver up to 214 horsepower and a respectable 6.5-second launch to 60 mph. It does this while also offering up to 226 miles of range*. The 2019 Nissan LEAF PLUS is available in three trim levels — S, SV, and SL — and prices range from $36,550 to $42,550. The 2019 Tesla Model S has three trims — Midrange, Long Range, and Performance — and prices range from $35,000 to $58,000. 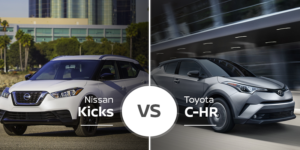 Who Should Buy the 2019 Nissan LEAF PLUS? 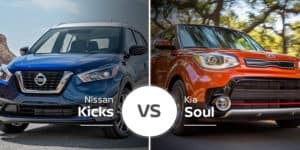 Though pricing adjustments by Tesla made the base Model 3 cheaper than the LEAF PLUS, the Nissan lineup is simpler to navigate and has a less expensive cap. Plus, its cargo-loving hatchback design makes it a good option for family trips and hauling sports equipment. Who Should Buy the 2019 Tesla Model 3? The Tesla Model 3 is efficient, sure, but its claim to fame is insane performance. This small EV sedan is perfect for a buyer who wants to have their cake and eat it too. It’ll cost you, but you are likely fine with the extra cash in the name of fun. 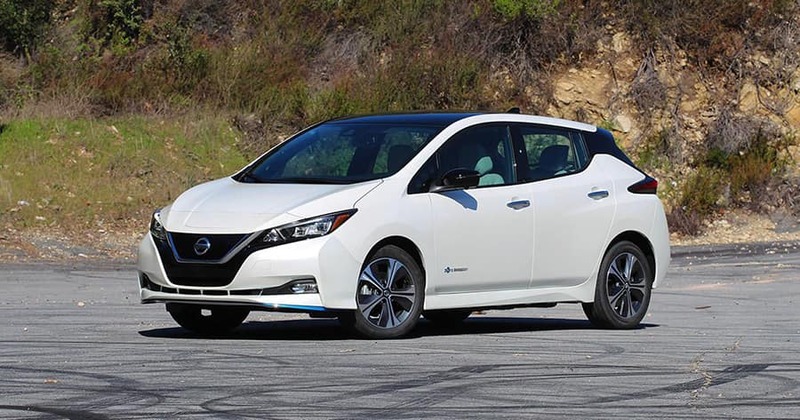 Come see what it’s like tackling your daily commute to Bay City or just taking a day trip to Midland in the thrifty 2019 Nissan LEAF PLUS at Garber Nissan today. The 2019 Nissan LEAF PLUS has all the style and efficiency our Saginaw area shoppers crave, so come see it for yourself today. Can’t make it in today? Check out our online inventory to see the LEAF PLUS models we have in stock in the Saginaw area and schedule to test drive a few when it’s convenient for you. * EPA range for Nissan LEAF S PLUS only. Actual range will vary with trim levels, options and driving conditions; see Customer Disclosure Form for details. * All prices listed herein are Manufacturer’s Suggested Retail Prices (MSRP), which exclude installation, taxes and other costs, and are subject to change without prior notice. Dealer sets actual price. Pictures are for informational purposes only.